(TibetanReview.net, Jun03, 2016) – Some 10,000 people are attending an introductory Buddhist teaching being given by the Dalai Lama in the Tsuglakhang, Dharamshala, India, over Jun 1-3. 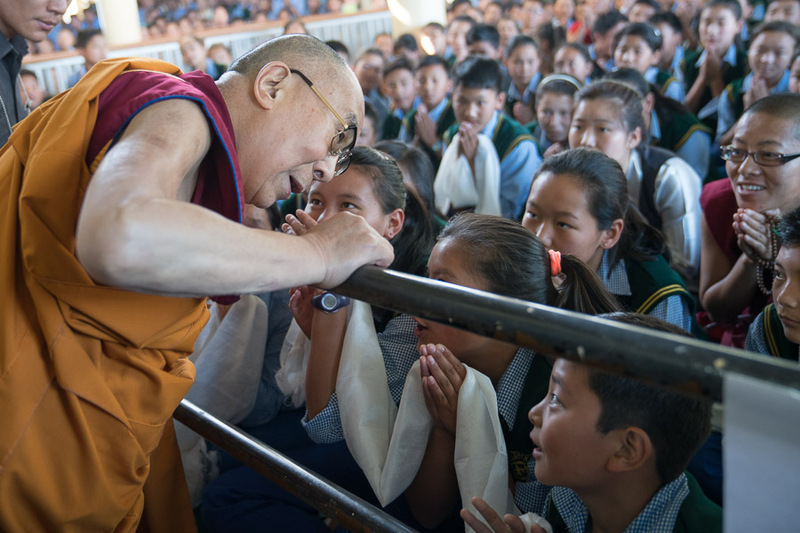 The yearly event, which focuses especially on the Tibetan youth, has drawn school- and college-going students as well as some 2000 people from some 66 countries this time. This year’s teaching is on ‘Tree of Faith – a Self-Exhortation’. The Dalai Lama explained that this text had come from the 16 Drops of Kadam, a special teaching that emerged from the interaction of Atisha, Dromtonpa, Ngok Legpai Sherab, Nagtso Lotsawa and Geshe Kawa at Yerpa Lhari Nyingpo. 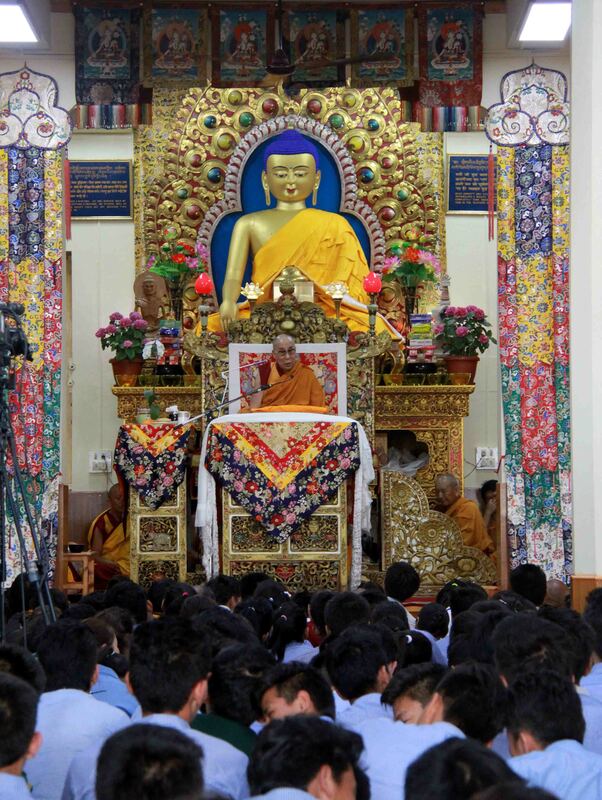 The event has been organized by the organized by the Tibetan Children’s Village school and the local Introductory Buddhist Study Group and began with the recitation of the Heart of Wisdom Sutra, followed by verses in homage to the Buddha.